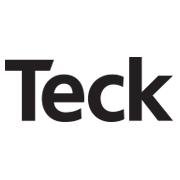 Teck Resources Limited (TSX: TECK.A and TECK.B, NYSE: TECK) (“Teck”) announced the appointment of Greg Brouwer to Vice President, Technology and Innovation; Amparo Cornejo to Vice President, Chile Sustainability and Corporate Affairs; Chris Dechert to Vice President, South America; Sepanta Dorri to Vice President, Corporate Development; Karla Mills to Vice President, Project Development; Crystal Prystai to Vice President and Corporate Controller; and Keith Stein to Vice President, Major Projects. As Vice President, Technology and Innovation, Greg Brouwer is responsible for advancing technology activities and strategy at Teck. Mr. Brouwer joined Teck in 1998 and was previously General Manager, Technology and Innovation. He holds a Bachelor of Applied Science in Mining & Mineral Process Engineering from the University of British Columbia, a Graduate Diploma in Business Administration from Simon Fraser University and Master of Business Administration degrees from Cornell University and Queen’s University. Mr. Brouwer reports to Andrew Milner, Senior Vice President, Technology and Innovation. As Vice President, Chile Sustainability and Corporate Affairs, Amparo Cornejo is responsible for corporate and government affairs, employee communications, Health, Safety, Environment and Community systems, and environmental permitting activities for our operations and development projects in Chile. Ms. Cornejo joined Teck in 2014 and was previously Director, Social Responsibility and Corporate Affairs. She holds a degree in Journalism and Bachelor in Social Communications, both from Pontificia Univerisidad Católica de Chile. Ms. Cornejo has a dual reporting relationship to Marcia Smith, Senior Vice President, Sustainability and External Affairs, and Chris Dechert, Vice President, South America. As Vice President, South America, Chris Dechert is responsible for directing Teck’s operations in Chile to achieve overall site objectives for safety, sustainability, production and financial performance. Mr. Dechert also supports Teck’s various interests in Peru. He joined Teck in 2009 and was previously Vice President, Copper Operations, Chile. Mr. Dechert holds a Bachelor of Engineering in Extractive Metallurgy from Laurentian University. He reports to Dale Andres, Senior Vice President, Base Metals. As Vice President, Corporate Development, effective December 10, 2018, Sepanta Dorri will be responsible for the identification and pursuit of external growth opportunities while also providing corporate support to each business unit’s internal growth initiatives. Ms. Dorri joins Teck from Teranga Gold Corporation, where she was Vice President, Corporate and Stakeholder Development, Canada. In earlier roles, Ms. Dorri was General Manager, Corporate Development Canada at Xstrata Nickel, and Vice President, Investment Banking, Metals and Mining Group Canada at Merrill Lynch Canada. She is a Chartered Professional Accountant, holding a Bachelor of Accountancy and a Master of Accountancy from the University of Waterloo, and a Master of Business Administration from the London Business School. Ms. Dorri will report to Andrew Golding, Senior Vice President, Corporate Development. As Vice President, Project Development, Karla Mills is responsible for the successful delivery of capital projects across Teck’s base metals and steelmaking coal business units. Ms. Mills joined Teck in 2013 and was previously Acting Vice President, Project Development. She holds a Bachelor of Science (Geological Engineering) from the University of Manitoba and a Masters Certificate in Project Management from York University. Ms. Mills reports to Alex Christopher, Senior Vice President, Exploration, Projects and Technical Services. As Vice President and Corporate Controller, Crystal Prystai will be responsible for all of Teck’s corporate controller functions. Ms. Prystai joined Teck in 2008 and is currently Director, Finance, Reporting and Compliance. She holds a Bachelor of Commerce (Accounting) from the University of British Columbia and a Chartered Accountant designation. Ms. Prystai will report to Ron Millos, Senior Vice President, Finance and Chief Financial Officer. As Vice President, Major Projects, Keith Stein will focus on the successful delivery of projects across Teck. Mr. Stein joined Teck in 2012 as Vice President, Project Development, and was most recently Acting Project Director for Quebrada Blanca Phase 2 in Chile. He holds a degree in Mechanical Engineering Technology from the Mohawk College of Applied Arts and Technology. Mr. Stein reports to Alex Christopher, Senior Vice President, Exploration, Projects and Technical Services.